The Southwest Avocado Chicken Salad features grilled chicken, applewood-smoked bacon, diced tomatoes, shredded pepper jack cheese and avocados seasoned with lime and salt over a bed of salad greens. Martzetti Southwest Ranch Dressing comes on the side. 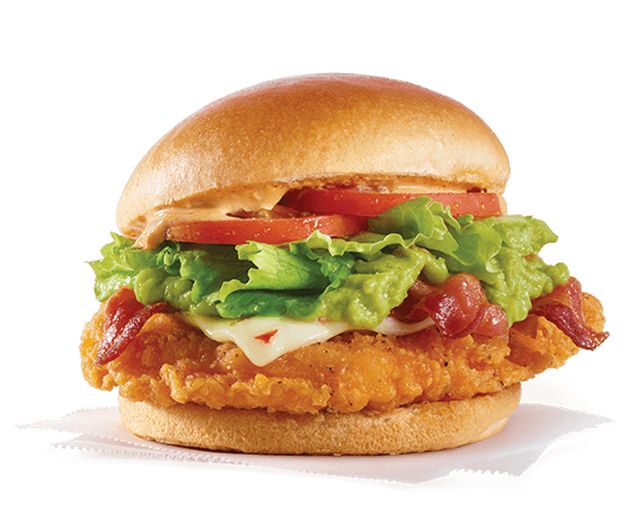 The Southwest Avocado Chicken Sandwich consists of avocado seasoned with lime and salt, a Spicy Chicken breast filet (you can also opt for a Homestyle or Grilled chicken filet), applewood-smoked bacon, pepper jack cheese, lettuce, tomato, and Marzetti Southwest Ranch Sauce on a toasted premium bun. Both items can be found at participating Wendy's restaurants nationwide for a limited time. 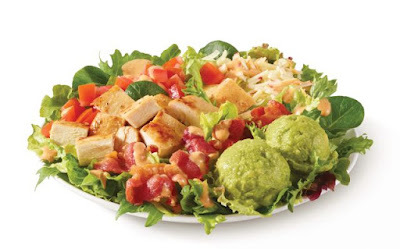 The suggested price for a full-size Southwest Avocado Chicken Salad is $6.69 while a half portion is $4.69 (may vary). The Southwest Avocado Chicken Sandwich carries a suggested price of $5.79. The chain is also offering new Limeade as a beverage option. It's basically their lemonade over ice with lime syrup mixed in.